Today, the state elections results for 146 million people across 679 Legislative Assembly seats in five states were announced. Exit polls had predicted anti-incumbency would catch up with the BJP in Madhya Pradesh and Rajasthan. They predicted the Congress would come to power in Rajasthan, but will lose its last North-East bastion of Mizoram to the Mizo National Front. In Telangana, the coalition between Congress and Chandrababu Naidu’s TRS would fail to topple Chief Minister K Chandrashekar Rao. For once, exit polls in India got it spot on. The big loser was the BJP, which had won 62 of 65 Lok Sabha seats in these states in the Modi Wave of 2014. But the BJP’s loss was not just Congress’ gain. Other parties also gained at BJP’s expense. Nowhere was this more evident than in Telangana. Incumbent TCR’s vote share increased from 35% to 47%, Congress improved from 25% to around 29%, but the BJP vote share remained static at 7%, despite contesting far more seats. Congress’ coalition with the TDP probably hurt its chances. A month ago, Congress looked like it was running away with victories in MP and Rajasthan, but a late BJP surge, led by PM Modi’s rallies, balanced the scales. For the BJP, it’s been a bad few months on the policy front, with the once-invincible political nous of Modi and Amit Shah finally looking fallible. Just yesterday, the RBI Governor Urjit Patel resigned after significant disagreements with the government over central bank independence. 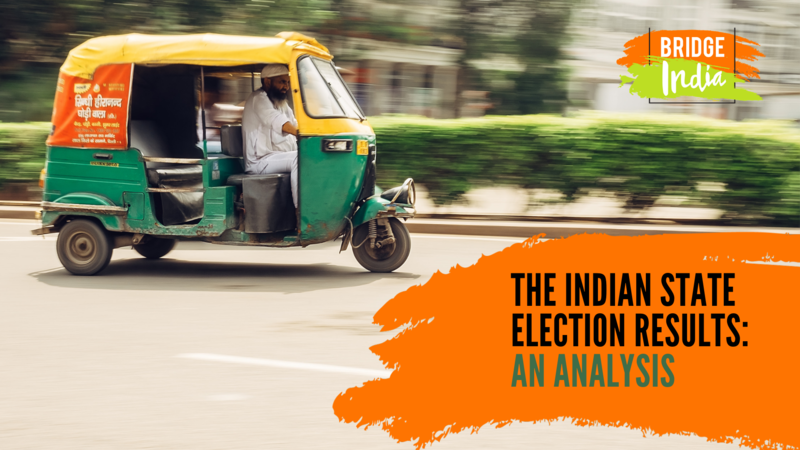 The BJP’s loss was largely a rejection of a more communal rhetoric, with election rallies focusing less on what brought Modi to power – vikas, or development – and more on Hindu-Muslim issues. TCR, MNF and the Congress, focused on welfare schemes, demonetisation and developmental issues, in their respective wins. For the Opposition, the message from these state elections is that to beat the BJP, parties need to work together. In MP, Congress may have had more success had pre-election terms been agreed with Mayawati’s BSP. In Mizoram, Congress lost badly, with the local MNF being the winners. Congress’ hold on the North-East states has slipped significantly in the last year. In Rajasthan and MP, the voting option None Of The Above received significant more votes than the margin between the two major parties (and more than many of the minor parties), suggesting small margins mattered a lot. Looking ahead to the 2019 General Elections, the BJP is still in pole position. But they will have to fight harder than they had expected just a few months ago, even in the core Hindi belt in the north of India, and focus on the sound economics that brought it to power in the first place. Given that it received 95% of the electoral bonds issued last year and remains by far the richest party, with the best-established grassroots network across the country means its has an advantage over rivals – that is, unless the rivals can successfully get into a mahagathbandhan, or Grand Coalition.